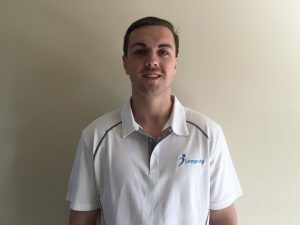 The team at Longevity has expanded again and we welcome our new Exercise Physiologist Jack Whitaker to the team. Here is a little bit of history on Jack and how he found his calling as an Exercise Physiologist. Growing up in the Eastern Suburbs of Sydney, Jack was heavily involved in playing sport with the local community including rugby union, rugby league, touch football, cricket and surf life saving. His teenage years solidified his love for sport and health, albeit suffering multiple injuries including concussions, three torn hamstrings, sprained ankle ligaments and a minor stress fracture of the back. This saw Jack visiting Allied Health Professionals quite regularly and constantly placing a high emphasis on health and rehabilitation. It was during this time that he caught the bug and decided a career in the exercise field was the right fit. The pathway that Jack felt would best suit this was a Bachelor of Exercise Physiology at the University of New South Wales. It was during this time that he was exposed to the latest developments in science, medicine, psychology and rehabilitation coupled with exposure to a vast array of clients and conditions ranging from a 9 year old boy with Dyskeratosis and aplastic anaemia to a 56 year old female with double total hip replacement to a 94 year old male with Parkinson’s Disease. may once have never thought possible. This was firmly cemented in his mind during his recent work with a 74 year old male who had suffered a stroke, rendering his entire left side severely damaged, with the vast Jack Whitaker is an Accredited Exercise Physiologist with Exercise and Sport Science Australia and has a B Exercise Physiology from UNSW. majority of muscles becoming permanently contracted thus losing the ability to walk yet alone stand unassisted. This particular client was permanently dependant upon a wheelchair and when being transported, a foot brace, sling, pelican belt and walking stick. This client’s granddaughter wanted more than anything for her grandpa to walk her to the park and back, a distance of 150metres. Over the course of 4 months, we assisted in manual stretching of affected limbs, lower body strengthening exercises from the wheelchair with the use of parallel bars as well as heavily assisted walking down the corridor. After four months of training three times a week, the client was able to walk 120 metres down the corridor and 70 metres outside battling the elements and some (very) dodgy pathways. Not only had the clients muscular walking endurance built up, but he was able to gain some movement in his left foot and the severity of his contracture had severely decreased. This experience cemented Jack’s belief that the human body is capable of anything and with the right training, knowledge and motivation. The human want to move is unstoppable. They have a minimum 4 years University training and over 500hrs clinical experience with a variety of health conditions as well a performance-based exercise prescription. Read more here. He will liaise with any other health providers involved in your health management providing a level of support that is rarely seen in a gym setting. Jack works in both our Edgecliff and Lindfield locations. Contact Jack at info@longevitypt.com.au or call 1300 964 002.